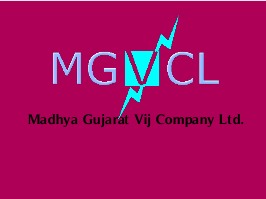 Madhya Gujarat Vij Corporation Ltd. (MGVCL) has published a Advertisement for below mentioned Posts 2016. Other details like age limit, educational qualification, selection process, application fee and how to apply are given below. Educational Qualification : 10th Standard passed. Should have passed 6 months Fireman Training course from All India Institute of Local Self Government, Nehru Bhavan, Vadodara or equivalent. or Home Guards, or Village Protection Forces. • Height - 165 Cm. • Weight - 50 Kgs. • Chest - 81 Cm. • Vision - 6/6 without wearing glasses or any other aid. Night or colour blindness shall be disqualification. Should be able to run a distance of 100 metres (one hundred metres) with 64 Kgs weight in one minute. Should be capable of clearing a ditch of 2.7 meters (long jump). Should be capable of climbing an extension ladder. or online through Credit Card / Debit Card / Net Banking. Stage 2: Endurance Test of all candidates who meet with physical standards. Candidates who do not clear the endurance test shall be disqualified for next stage. Selection shall be based on the score of written test. : ONLINE APPLICATION NO. ” to the following address. Address to sent Applications : The DY.GENERAL MANAGER (LEGAL&IR) Madhya Gujarat Vij Company Limited, 3rd Floor HR Department, Sardar Patel Vidyut Bhavan, Race Course, Vadodara 390 007.